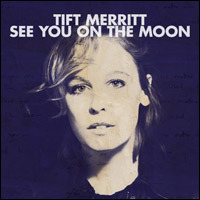 Tift Merritt is one of those special finds who remains pretty much invisible to the rest of the world even as she continues to knock my socks off with release after release. I don’t know if this is a case where Merritt would be the biggest thing since sliced bread if only she got enough exposure or if she just has a certain chemical appeal for me that would be lost on most others. Some Web surfing reveals a bit of both, with plenty of fans describing her as the second coming and just as many dismissing her as another in a long line of forgettable singer-songwriters. I suppose that’s probably the case for most artists.